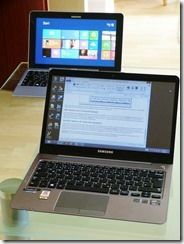 Tag Archive | "ultrabook battery life"
While Ultrabooks generally perform to similar efficiencies under load there’s quite a difference when it comes to near-idle operations and that can seriously impact the length of time you can use an Ultrabook as an offline word processor. As a blogger that’s a very important scenario for me and I suspect that if you’re offline and answering a bunch of emails or writing a presentation or report, this scenario is important to you too. 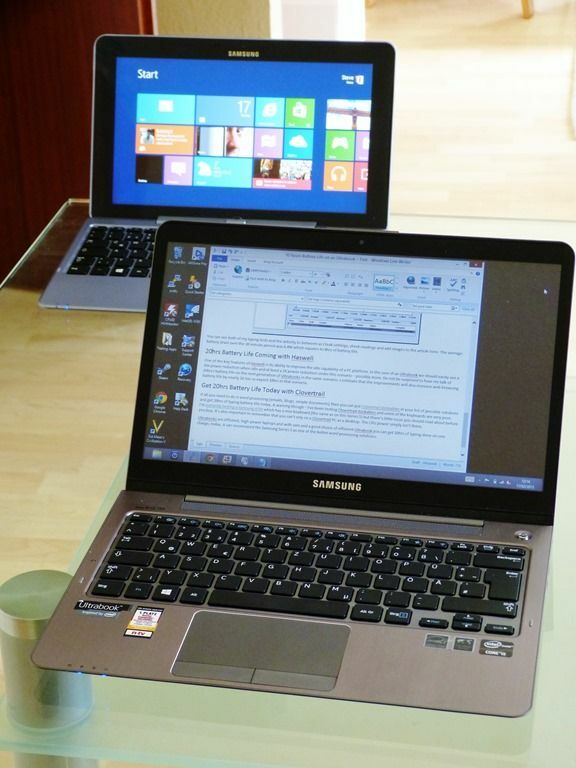 If you choose the right Ultrabook you can get 10 hours of typing on one battery charge. 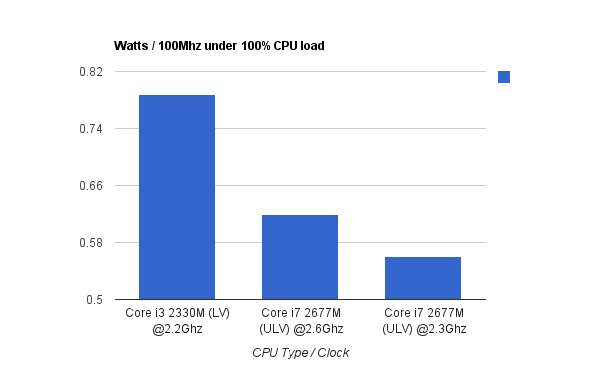 Early in January I put forward an article which highlighted the differences between the ‘ultra low voltage’ CPUs you get in Ultrabooks and the ‘low voltage’ CPUs you get in many laptops. I gave some comparison figures for two devices in different usage scenarios by measuring ‘system’ power drain and it was only in the high-end tests where we saw the ULV processor being significantly more efficient. In this article I continue the testing and compare the LV and ULV cores directly. The results are blow. Measuring ‘system’ drain on two different systems isn’t the most scientific of tests so a discussion broke out in the comments about how we could measure a true difference in efficiency between ULV and LV processors and whether it could be possible to run low-voltage processors at slower clockrates and get the same efficiency as a ULV processor. The theory says ‘No.’ If you run a CPU at the same frequency but with a higher voltage, the power usage goes up. 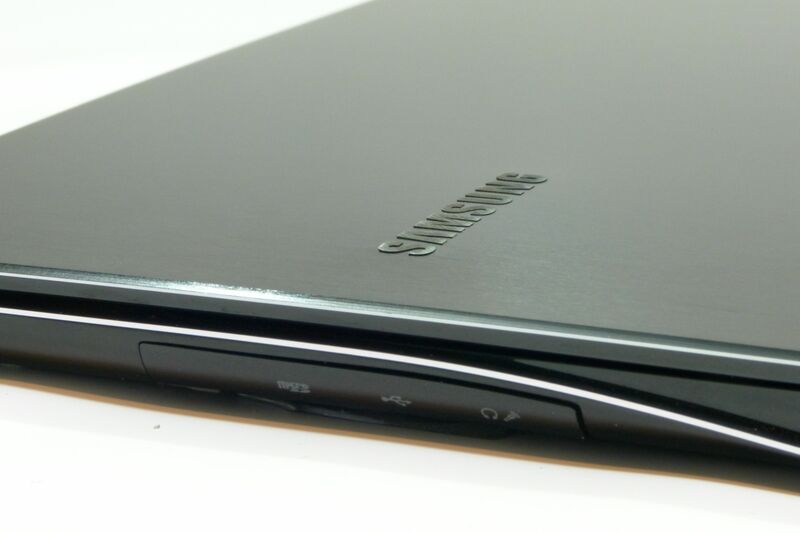 Efficiency and Battery Life Tests on the Samsung 900X1B. Good Results. 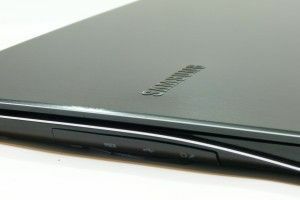 Giving battery life figures for any modern notebook will always be a difficult task due to the huge dynamic range of the mobile platforms used in notebooks today. Take the Samsung 900X1B I’m testing at the moment. It’s not an Ultrabook but it’s built on the same platform to the same dimensions and it will run at anything between 2.8W drain and over 10X that figure. In this article I’ll give you some results from some fairly detailed testing I completed today. In summary, the Samsung 900X1B has excellent battery life for the size, weight and battery capacity. It’s efficient. The tests I did today were aimed at finding how low the platform can idle and what sort of drain you can expect some of the components to add, all the way up to maximum power usage.